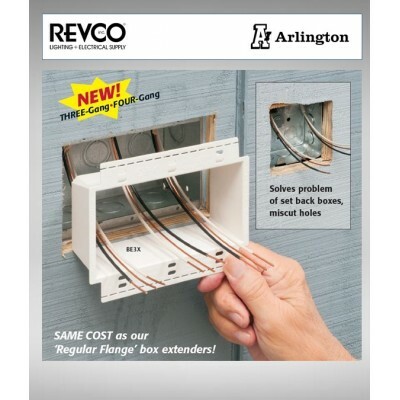 Arlington's non-conductive box extenders extend set back metal or non-metallic electrical boxes up to 1-1.2 inches, the easy way! They work with any single gang device and most steel and non-metallic outlet boxes, providing a level, fully supported wiring device that's flush with the wall surface. In steel boxes, they prevent arcing and shorting by creating a barrier between the box and the device.